Recently, I was on a mastermind call where we discussed how we (we=real estate agents as a whole) have a tendency to talk to leads as though they’re in decision making mode. Which got me to thinking – if they’re not in decision making mode, where are they? Statistics show that an online lead takes 12-18 months from when they first start looking at homes online to actually reaching out to a real estate agent. BUT, does that mean they’re in decision mode? All transactions start with an idea. Which moves into research, definitely weighing the pros and the cons of making a move, etc., etc., until your client decides to connect with an agent and make a plan. Then, they’re really serious and you start moving toward that fateful day when they sign a contract. What would happen if you talked to your leads as if they were in the idea stage? How would your communication be different? Are you asking them over and over if they want to go look at houses this weekend – and getting no response? What if you gave them an answer to a question they might be thinking about in the research stage? For example, could they be wondering how much money you actually have to have to buy a house? I’ll bet you know many different answers to that question! So, why don’t you email them and give them the answer? Brilliant! Do that over, and over and over. Even if that person never wondered about down payment, or whatever question you answer, you’re providing value and PROVING that you’re awesome. So, when the time is right for them to reach out – of course they’re going to call you! Save each response you send and after a short time you’ll have a library of VALUE-PACKED canned emails you can tailor to any lead and help generate a response (that will lead to more sales)! 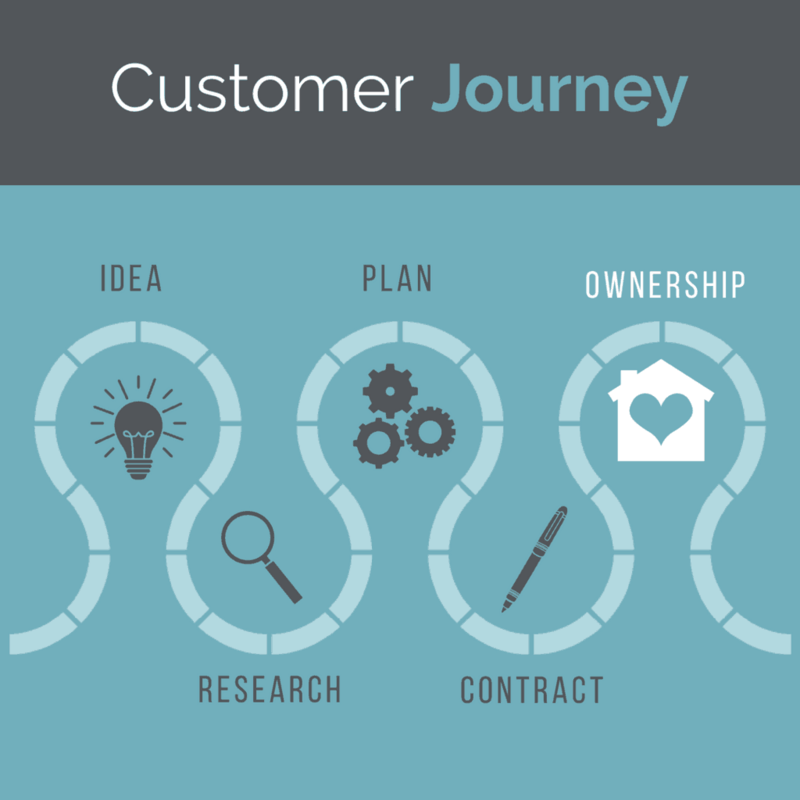 And, when it comes to Real Estate: Your Customer’s Journey to Buying a House, you now have a clear idea how to reach them in different stages.